If we didn’t actually run a wedding blog, you might hear us gals say we aren’t the most tech savvy bunch. Deciphering code can be like reading a different language, and that’s exactly why we love how easy setting up a brand new website can be with Squarespace. 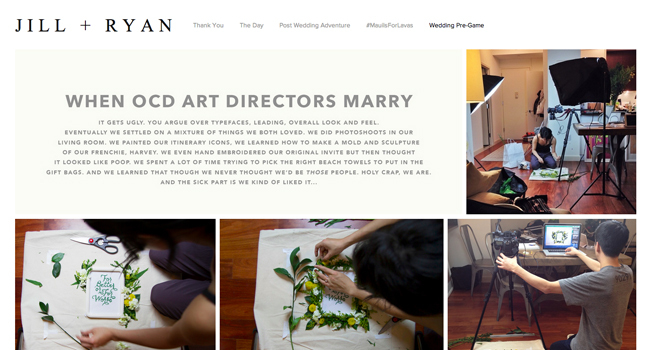 Creating an online presence for your wedding is almost non-negotiable these days. Your guests will use your website to RSVP, check the details for the day or weekend and, yep, link to your wedding registry. 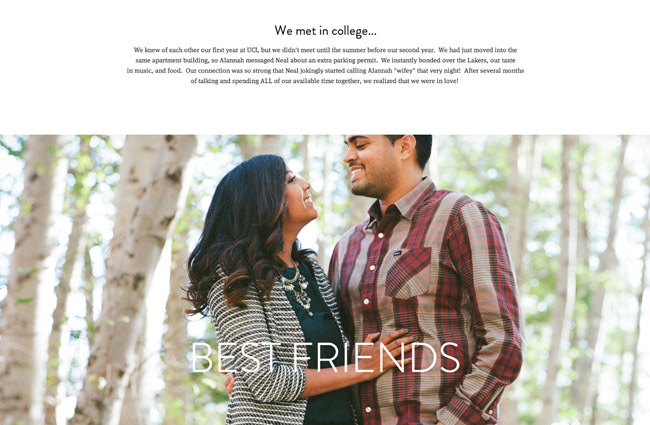 Squarespace’s beautifully designed website templates are simple + quick to set up. They’re customizable: you can choose your own domain name + share photos and videos through your own galleries. Since there’s nothing quite like seeing the real thing before you commit, let’s check out three wedding websites of soon-to-be hitched couples to see how they look! 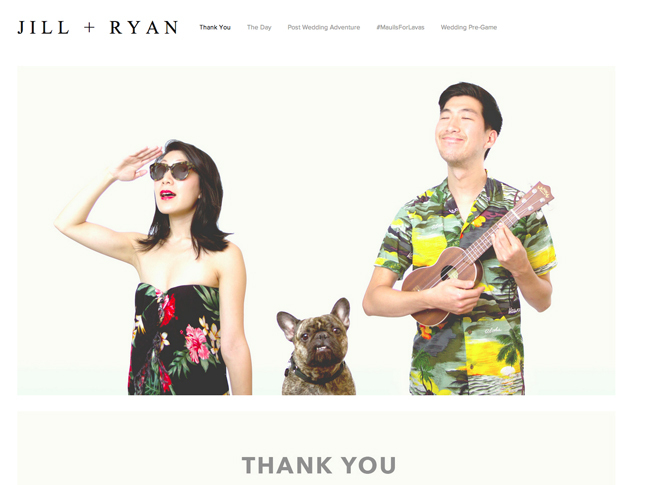 We love the playful vibe of Jill + Ryan’s site, don’t you? A good intro image sets a fun tone + giving your guests a peek into the planning process allows friends and family, from near and far, to feel connected to your celebration. We definitely recommend updating your wedding website with photos from your engagement session. How cute is that greenhouse snap above?! 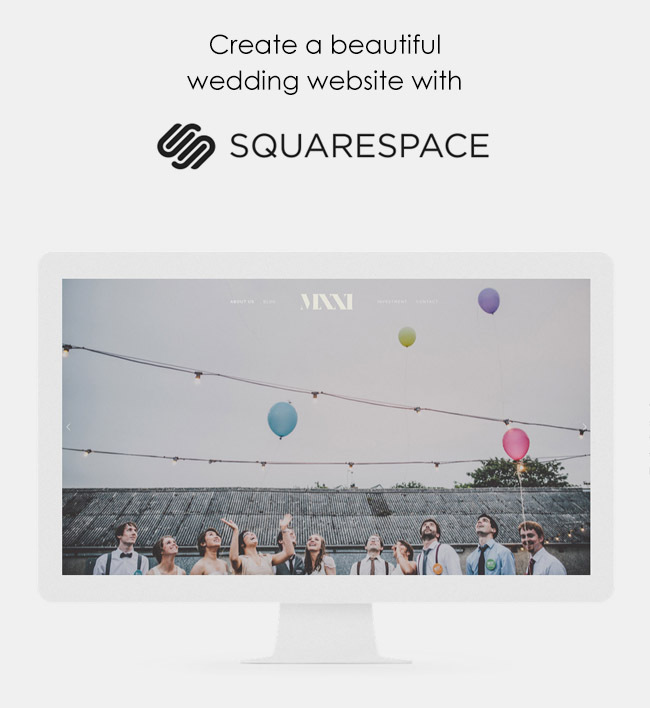 If your totally sold on the look + feel of these stunner sites, pop over to Squarespace to get started! And be sure to use the code ‘GREEN15’ for 10% off! My goodness – the photo quality matches the amazing venues on this site! Really fantastic – I love the images in the desert with the delorian. Such great photos in a magical destination! 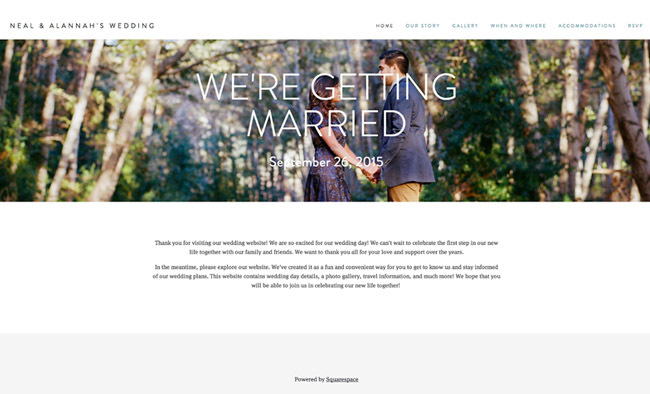 This is a wonderful wedding website to use and easy. 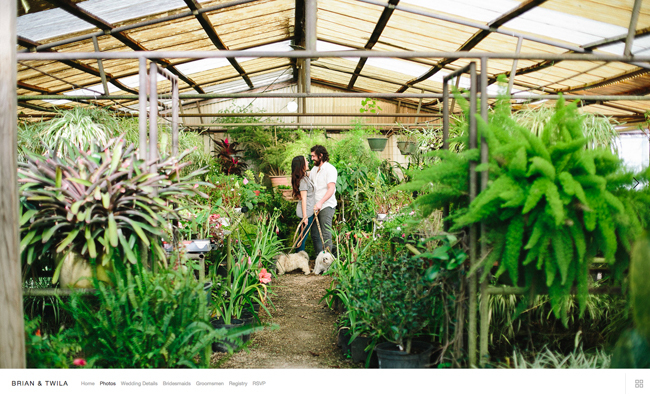 The photography looks amazing on it, and I definitely agree: add engagement shots to your page!